Jollibee food corporation bought Mang Inasal from Injap Investments Inc.
Who would have thought that this would gonna happen? If you can't kick them, joine them errr... or buy them in this case. 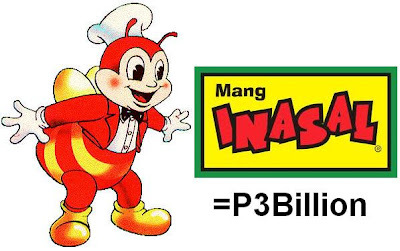 It's all official, Jollibee Food Corporation had filed to the Philippines stock exchange that it will pay Mang Inasal owner Edgar Injap Sia III of Injap Investments Inc. a P200 million pesos, a 10 percent of the three billion pesos, as a downpayment. On the other side, Edgar Sia II, chairman and chief executive officer of the Mang Inasal food chain, has confirmed about the acquisition. Injap, the parent company of Mang Inasal said that it will sell Mang Inasal's 70% stocks to JFC, and only thirty percent will remain on them. Though the complete details is not yet fully disclosed, but everything seems to have already been ironed before the officials from both companies had made it public. On the side note, Jollibee's action was justified as it was noticed of being interested in roasted chicken as it had offered roasted chicken on its menu. Roasted chicken wasn't available from years of existence of Jollibee fast food store. This had concluded that Jollibee had already been eyeing Mang Inasal from the very start, and the acquisition of had just became irresistible knowing Mang Inasal's rapid growth throughout the country. Mang Inasal was known of its grilled chicken with some other Filipino dishes in 303 stores, 24 of which are company owned and the rest are just franchised outlets. Jollibee Foods is founded by businessman Tony Tan Caktiong which currently has 1,578 stores throughout the entire country and 375 abroad. To date, the Jollibee fast food stores has 703 outlets, Chowking has 404 fast food chains, Greenwich currently numbered to 218, Red Ribbon with 215, Delifrance has 23, and Manong Pepe’s has 15. Abroad, Jollibee Foods has 185 Yonghe King stores in China, Vietnam and Brunei, 38 Red Ribbon stores in the US, 64 Jollibee stores in the US, 51 Hong Zhuang Yuan branches in China and 37 Chowkings mostly in the US. This really made me wonder because Jollibee's chicken barbecue is superb on my tastes, which on the contrary, I am not impressed with Mang Inasal's way of cooking its chicken, their sinigang is even too sour for a typical Filipino tongue like mine. On my opinion, Mang Inasal has nothing Jollibee wants but its brand. Though I am fully aware that I'm not the only Filipino here. Many also likes eating at Mang Inasal. Well, it's just I'm not a fan of Mang Inasal's chicken. 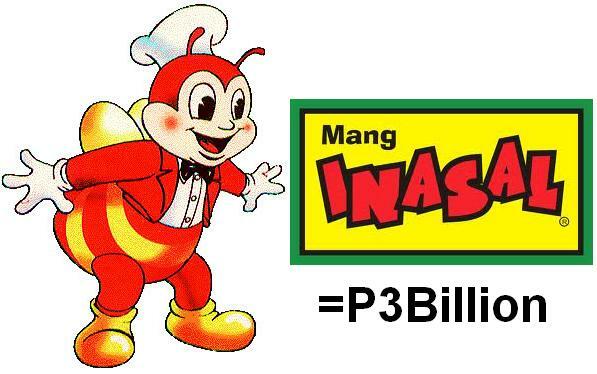 Though the whooping three billion pesos is a solid proof that Mang Inasal is really something. Good luck with the acquisition, just hoping that it will bring new flavors (figuratively) to the local market.